Our tour on February 22nd filled up so fast, we wanted to offer another opportunity to experience this fun and informative tour! Come on out and explore with the Council of Graduate Students and your grad/prof. 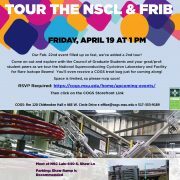 student peers as we tour the National Superconducting Cyclotron Laboratory and Facility for Rare Isotope Beams! You’ll even receive a COGS treat bag just for coming along! Event is free. Sign up today, space is limited. 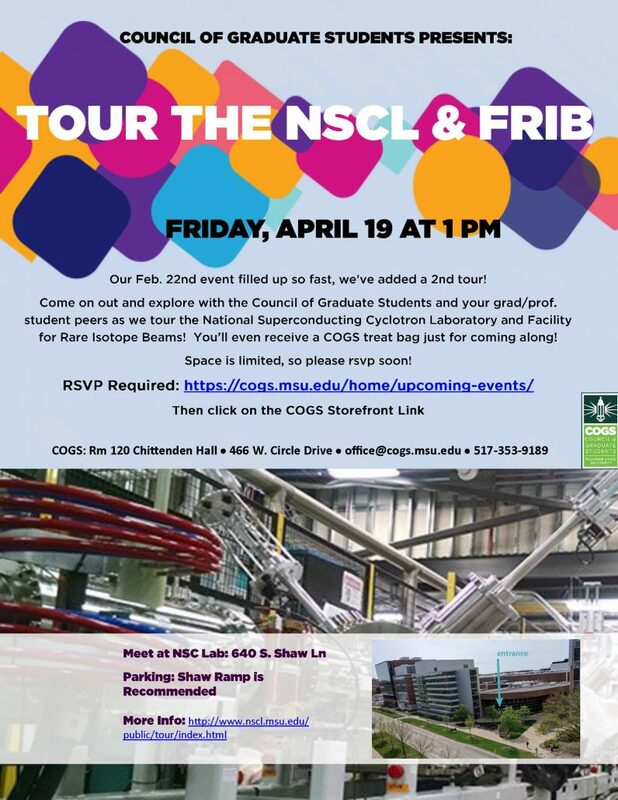 RSVP Required: https://cogs.msu.edu/home/upcoming-events/ and click on the COGS Storefont link to reserve your spot on the tour.